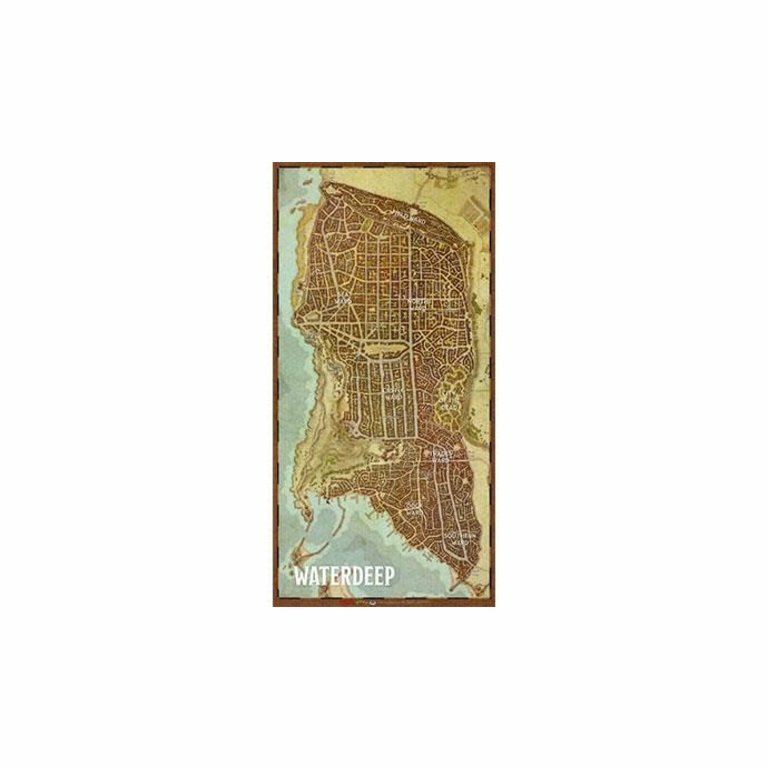 Explore Waterdeep with this oversized city map. 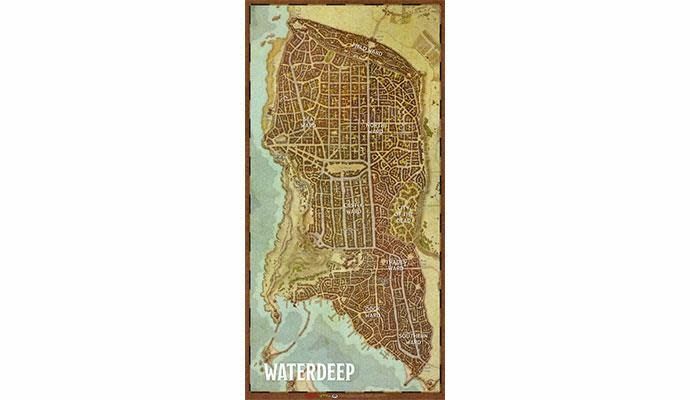 Explore Waterdeep with this oversized city map, measuring a massive 40 x 20 inches. To celebrate the release of Dungeons & Dragons™ Dragon Heist, Gale Force Nine is releasing this Giant City map, allowing you to bring the Crown of the North to your tabletop. Featuring locations of renown, this map will allow your party of adventurer’s to traverse all the streets and alleys of the City Splendors as they discover the secrets hidden within. Printed on high-quality single sided vinyl surfaces, these maps are durable and hard wearing. Designed specifically for use alongside Waterdeep Dragon Heist, this is the perfect guide to the Crown of the North.